Hooked on Needles: Custom Tote Bag with Zippered Extension ~ Downton Abbey Fabric Too! 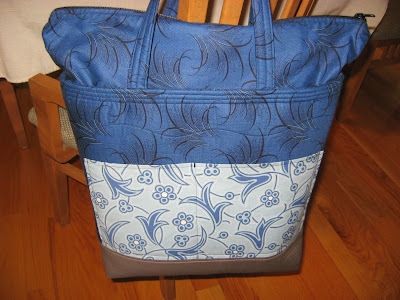 Custom Tote Bag with Zippered Extension ~ Downton Abbey Fabric Too! 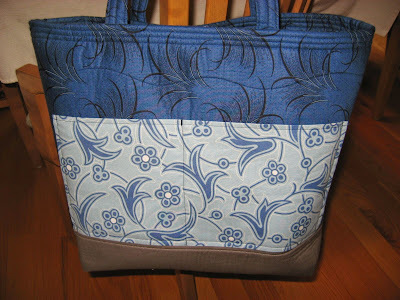 This is Beth's finished bag, designed for her needs and in the fabrics of her choice. 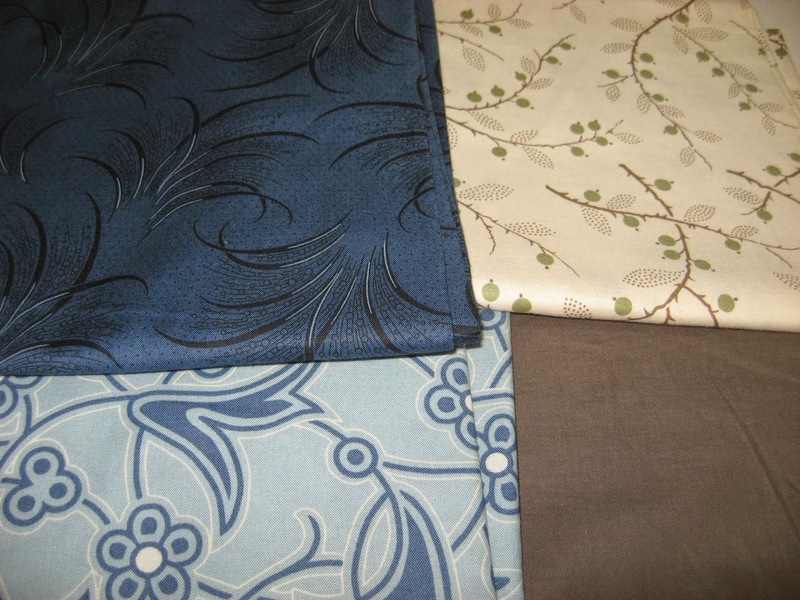 Hawthorne Threads sells top quality fabrics, and allows searching their website by color, designer, collection and many other criteria. Beth found this collection of Downton Abbey fabrics and put together a lovely combination for her bag. Here you can see the inside of the bag with the extension inside the bag. 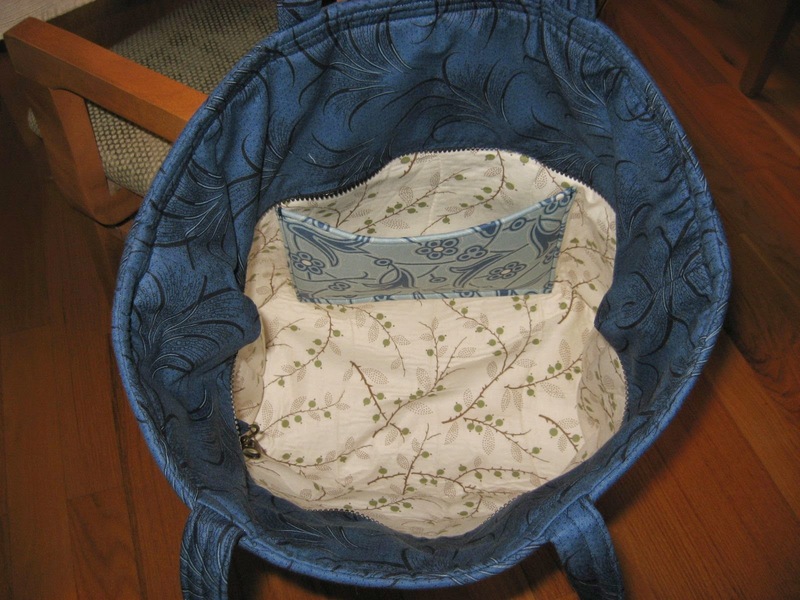 Notice the inside pocket with lots of padding, just what Beth ordered to fit her ipad mini. And this shows the inside of the bag with the extension pulled up. Isn't that fabric lovely? 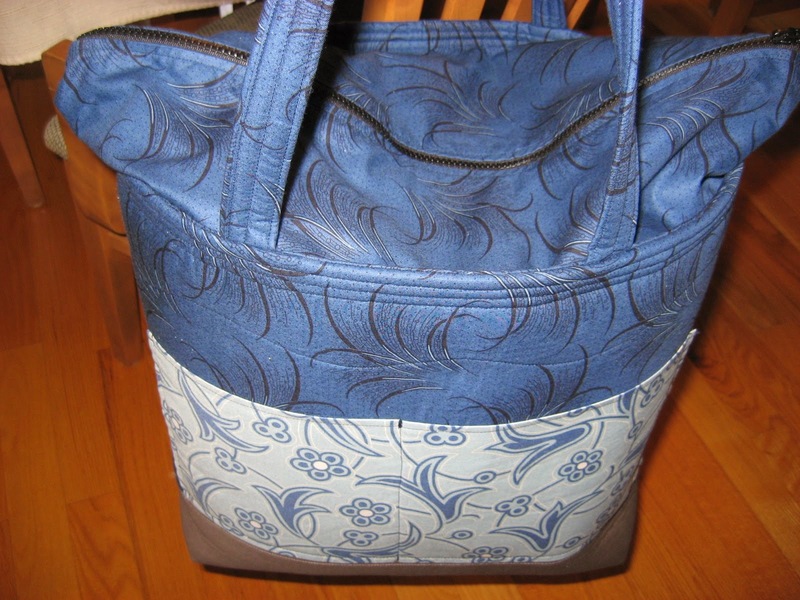 You might also notice that I included a swivel hook on a strap to keep track of keys or other small ringed items. I just love how this bag has such a generous capacity. 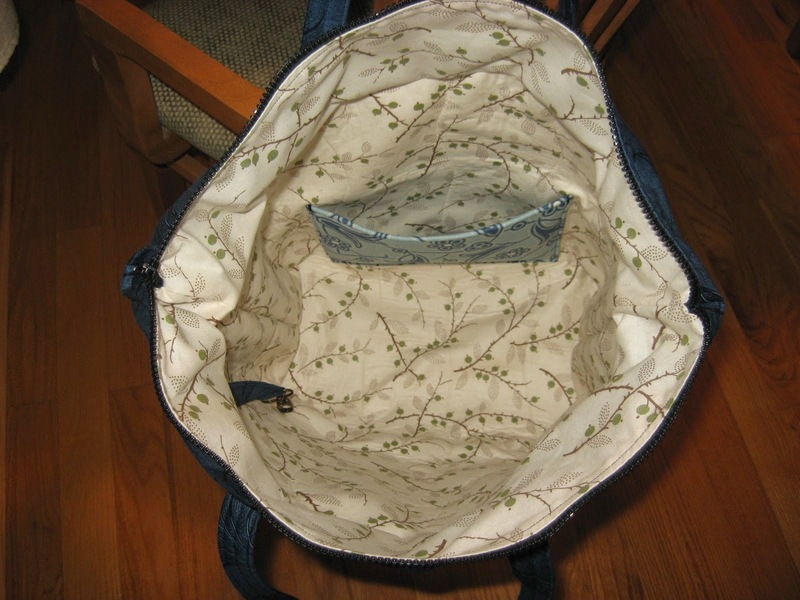 Beth will need all that room for the cross stitch project she is planning to keep in here! The zippered extension is wonderful for adding extra room inside the bag, or just for closing up the bag to protect the contents from spilling out or getting dusty. At the moment, I do not have any of these expandable zippered tote bags available in my shop, but I do have a few other fabulous bags along with lots of new crocheted cotton items and some reversible aprons, so click HERE to check out what is available now. If you have been wanting a custom tote bag, be sure to contact me soon since summer is moving awfully fast towards school time once again! I hope you are having a creative summer! Lovely bag Mary Grace - hope you are enjoying your summer!